Here are example screenshots from home devices we have been able to obtain and know that works. 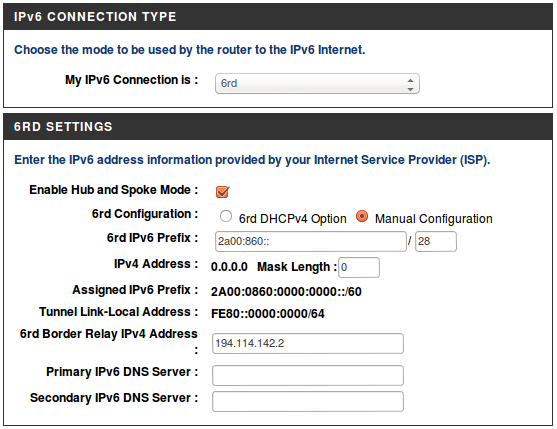 We would appreciate screen shots from working configurations on other devices, so if your device is not on the list and you find that it's working fine, please send a report to ipv6-ops_at_tele2.net and with the make and model (including hardware revision and software version), and if you can, please include a screen shot of the configuration that is working for you. Thanks!